There are two different stories associated with this bridge, both being classic examples of the Crybaby Bridge legend. In the first version, a young mother has a child out of wedlock and decided she can’t live with the shame. So she walks up onto the bridge and throws the baby over the side. Grief-stricken, the woman flings herself off the bridge, joining her child in a watery grave. In the second version, the woman is married and is overjoyed that she has recently given birth to her first child. For reasons never explained, the woman finds herself with her baby, trying to cross the bridge in the middle of the night. Unfortunately, the woman is struck by an oncoming vehicle and she and her baby are thrown from the bridge and into the water, where they both die. Regardless of which version is told, the end result is always the same: if you go to the bridge ad are there at the right time, you will hear a ghostly baby crying. The second version, the one with the “loving mother” adds that you can also hear a woman screaming, supposedly after she is struck by the oncoming car. 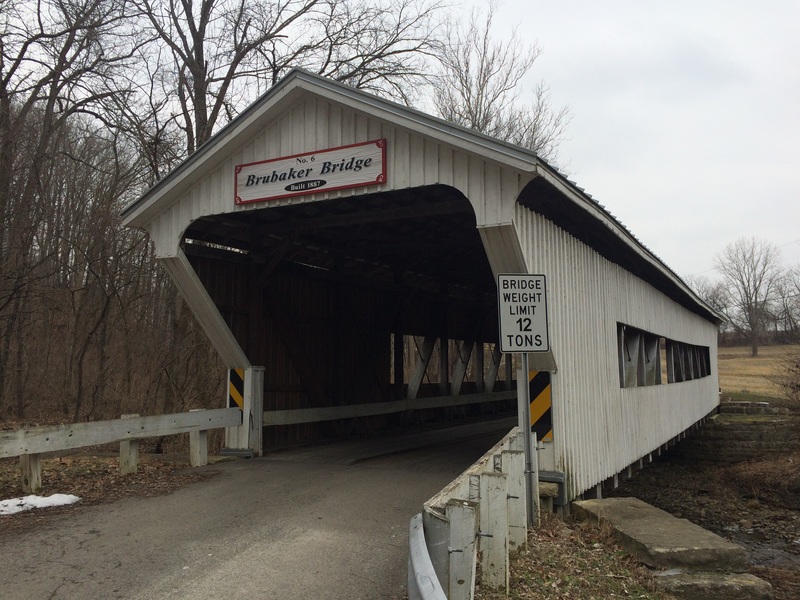 The bridge is located on Brubaker Road, approximately 1/4 northwest of the village of Gratis, Ohio, in Preble county. The bridge crosses over Sam’s Run creek. The Brubaker Bridge, as it has come to be known, is a historic covered bridge, constructed in 1887, and still open to vehicle traffic today. In 2001, it underwent a major renovation, which lasted over 5 years. The bridge was built by Everett S. Sherman and is one of at least 20 he is known to have built in the area. Originally from Delaware County, Ohio, Sherman moved to Preble County in order to help after a flood came through the county, destroying many bridges in the process. It should be noted that there are several ghost stories surrounding this bridge. In fact, the Crybaby Bridge legend seems to be the latest edition to the bridge, arriving, according to my research so far, around 2001. Prior to 2001, the bridge was said to be haunted by the ghost of a 6-year-old boy who was kidnapped from his home and later murdered on the bridge. The boy’s ghost didn’t make any noise when it appeared, though. He just sort of hangs out on the bridge. The earliest, and weirdest, ghost story associated with the bridge involves a carload of teenagers crashing their car on the bridge, resulting in them all dying. Again, just like the ghost of the 6-year-old boy, none of the teenagers’ ghosts cry or make any noise. Given the plethora of ghost stories associated with the Brubaker Bridge, along with the fact that I’ve yet to uncover any evidence or historical documentation that verifies anyone ever died on that bridge, leads me to believe that since the bridge was, prior to repairs, rather spooky looking, it became something of a ghost story magnet. Ghost stories are powerful things, though, and even long after the bridge was repaired, the tales still linger on. None as of this writing. I don’t think it was brubaker bridge but rather fudge rd bridge (also near Gratis) where this happened: Recently a couple young men about 18-19 years old killed another young man and dumped his stabbed, shot and burnt body at the bridge. One plead to life without parole and the other has been sentenced to death. The youngest ever to be sentenced to death. Isn’t fudge road bridge near gratis also? Yes. They are a few miles from each other.